Sixteen months following the original iPad launch back in April 2010, the Android camp has hit unexpected roadblocks as first tablets based on Google’s software fail to impress the mass consumer or gain any meaningful traction in the marketplace. Earlier this year heads rolled at companies that couldn’t produce a viable answer to Apple’s market-defining product, while nasty quotes from competitors only served to stress their jealousy. Computer maker Acer is a typical example. Their former CEO and president Gianfranco Lanci was forced to quit his post abruptly in the wake of the iPad challenge as the company outlined reorganization plans. Today I have to say, trying to break even this year becomes impossible. Why poor results? As mentioned earlier, Acer had to swallow significant costs attributed to company-wide reorganization and clearing up excessive inventory. 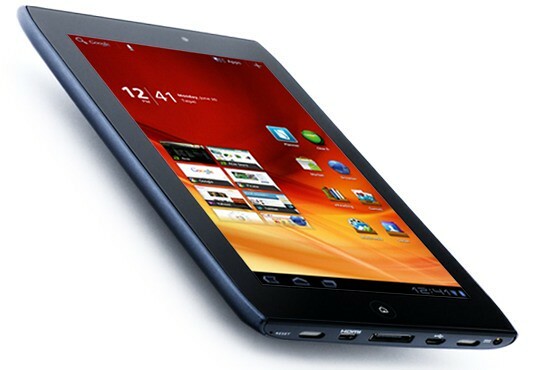 The latter is in line with other makers reducing prices of Android tablets in order to “digest inventory overstock”. Interestingly, Acer will no longer report sell-in, which only includes shipments to the channel, and will instead switch to the sell-through model which counts actual sales to end users.